Thank you for all your support in 2014. Looking forward to 2015! 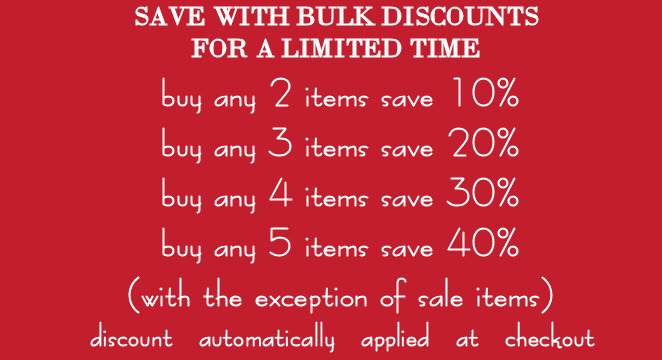 For a limited time save with a bulk discount when you buy multiples on bb3.ca. Buy any 5 items and you’ll save 40% off your entire order. Free standard shipping with Canada Post included. Not combinable with any other discount or on 3rd party sites like etsy. Not available on sale items or gift certificates. Currently running until December 3rd, 2014 (edit: now extended to December 31st, 2014). Must get back to work! Jewelry--turned-fiber artist with a passion for keepsake gifts & spinning. Fiber work is my way of coping with daily stress and anxiety; whereas jewelry making is my way of releasing it. I enjoy honing my crafts while raising 3 little girls, and vow to use my talents to inspire the creativity within. A native Nova Scotian (valley chick); pinay (mestiza). I have been selling my wares on & off-line for over a decade, and donate my products for grass-roots charitable causes. I love barter! Hi - I'm Leilani. I have been making things my entire life - and see it as an essential outlet for my day to day living. This is a behind the scenes look into the things I make: from jewelry, engraving, handspun yarn and paper crafting. I hope you will be inspired to embark on a creative project of your own or find the perfect handmade gift to purchase from my website, bb3.ca or etsy shop. I’m back and all online shops are open for business. I’m slowly getting back into it: isn’t this etched copper pendant my daughter got to commemorate.. Happy Saturday! How are you spending it? In between cleaning and packing I’m getting orders ready to ship – like this yarn order! Sunday – tomorrow.. If you are looking to order something soon, please do so by Sunday (March 17th) as I will be taking a much needed break! Etsy shop will be in.. Yesterday I dyed some silk to match this ply I spun the other day from a fiber artist in NY State (retired). The color match looks good, I’m..
Well, my plans to blog more went totally out the window! I’d rather be making than on the computer, as much as I enjoy writing….